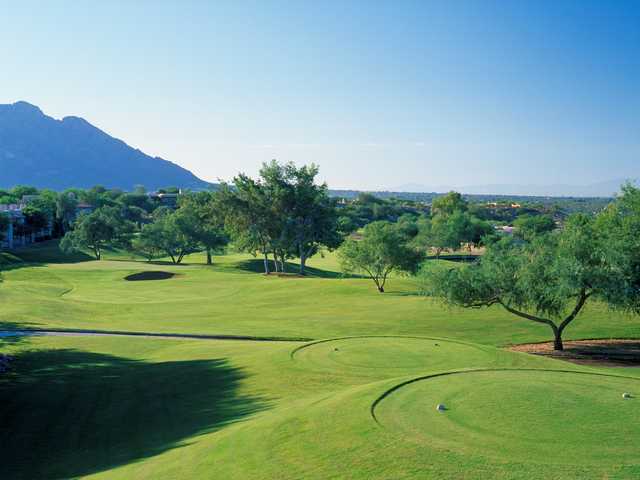 Nestled at the base of the Santa Catalina Mountain Range, El Conquistador’s three golf courses all offer breathtaking canyon and mountain views. One of these three courses is the Canada Course, which is known for the amount of strategy that is required to do well. The Canada Course plays through forests of mesquite trees, offering a parkland atmosphere amongst a desert landscape. The natural terrain snakes through ravines and arroyos, providing several natural hazards. Considerable mounding, doglegs and elevation changes provide a varied layout, making club selection an important factor in addition to careful strategy. Golfers should be prepared to use every club in their bag. 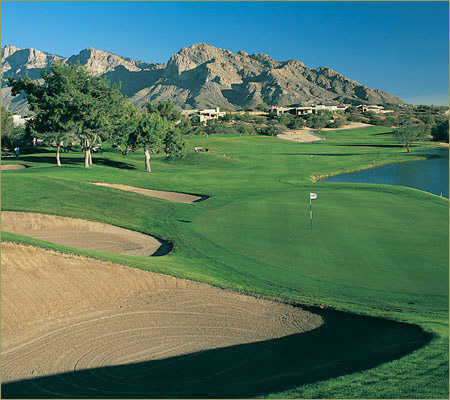 The course’s signature hole is the eighth hole, considered one of the toughest par 3s in Tucson. 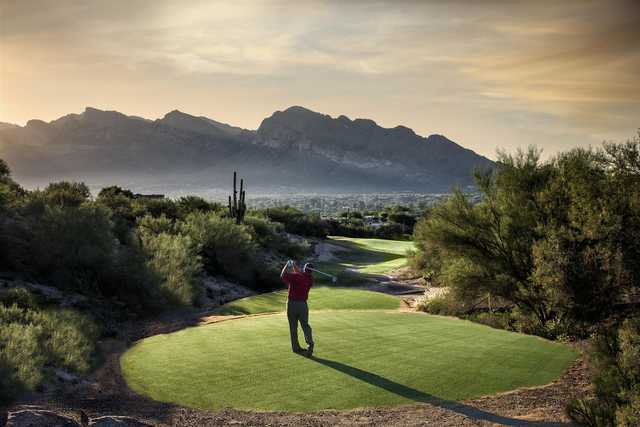 The hole requires players to drive the ball uphill along a narrow ridge between two Saguaro cacti, and canyons border the greens on both sides. Scenic Front nine on an overcast day is evocative of Ansel Adams Yosemite National Park photos.